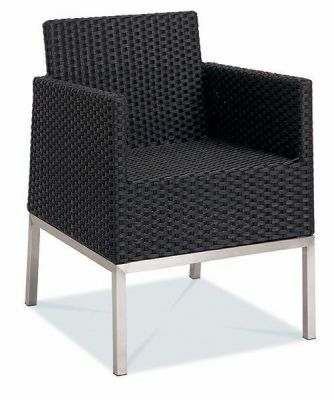 Sturdy outdoor armchair with a substantial metal frame. 5 x 5 weave. Suitable for indoor and outdoor use. Also available as a two-seat sofa. 2- 3 day lead time. Cubic Outdoor Aluminium black weave armchair with a high back for support, there is also a high stool, table and sofa available in this range.